1. To declare truth to the nations concerning God's provision of salvation through Christ's atoning death. 2. To demonstrate the power of the Kingdom of God by healing the sick, binding up the broken-hearted, setting the captives free and preaching the good news of God's Salvation. 3. To serve and build up the Church of Jesus Christ. 4. To serve the Body of Christ by pastoring, encouraging, healing and mentoring pastors and leaders. 5. To train and raise up leaders while equipping believers for the work of ministry. 6. To help people become true and effective desciples of Jesus Christ. Evangelism projects include a discipleship training program, orphan chilren's ministry and a widows program. 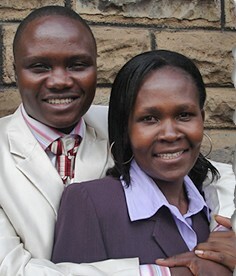 Strengths: Maurice and Benter are gifted as teachers, evangelists, missionaries, community workers and volunteers.